Ed: This F/A-18C (BuNo 164658) is the VFA-113 Stingers "CAG bird" (CAG - Commander, Air Group). 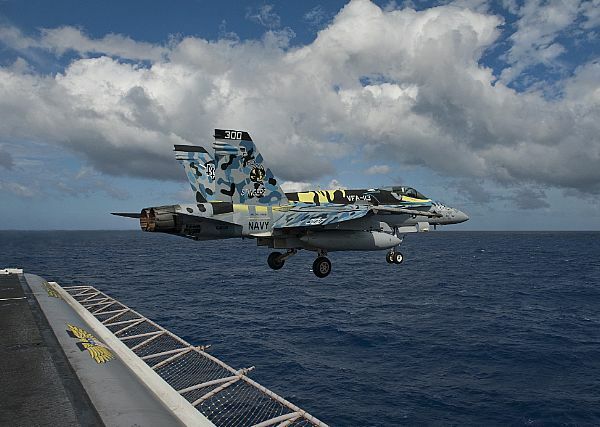 CAG birds are the aircraft "assigned" to the commanding officer of U.S. Navy Carrier Air Groups, and are the first aircraft (Modex No x00) of each squadron. They usually sport, at the very least, colourful tail art although as is the case here, can sometimes be in a special paint scheme. 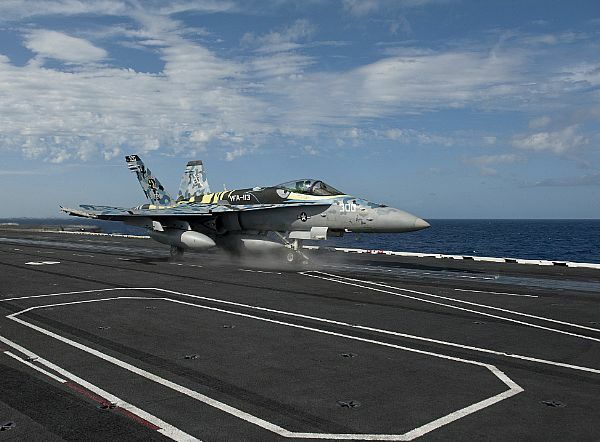 Every carrier-based aircraft squadron of the United States Navy has such an aircraft that wears modex usually ending with the '00' numbers.